Look is deceiving. This is so true with this dish. 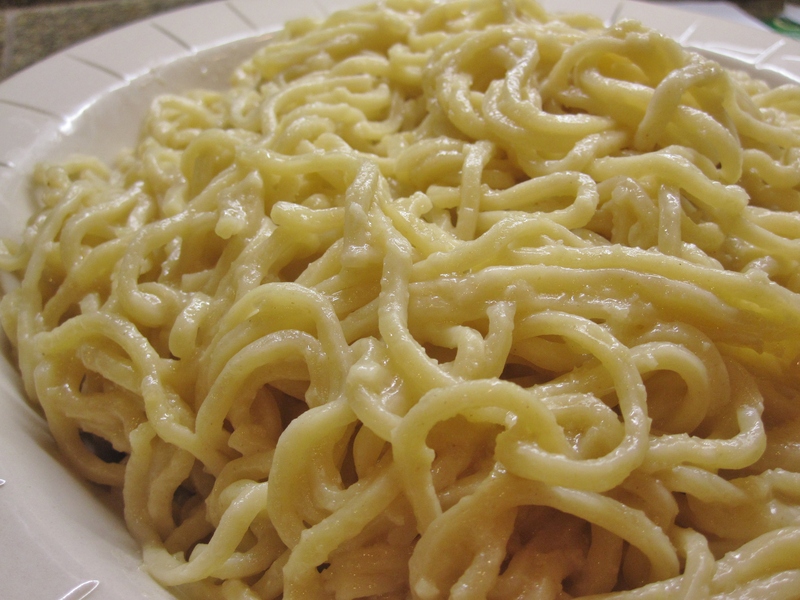 These are not ordinary boring noodles; they are full of (garlic) flavor! All garlic lovers should give it a try, trust me you’ll be happy with it 🙂 . 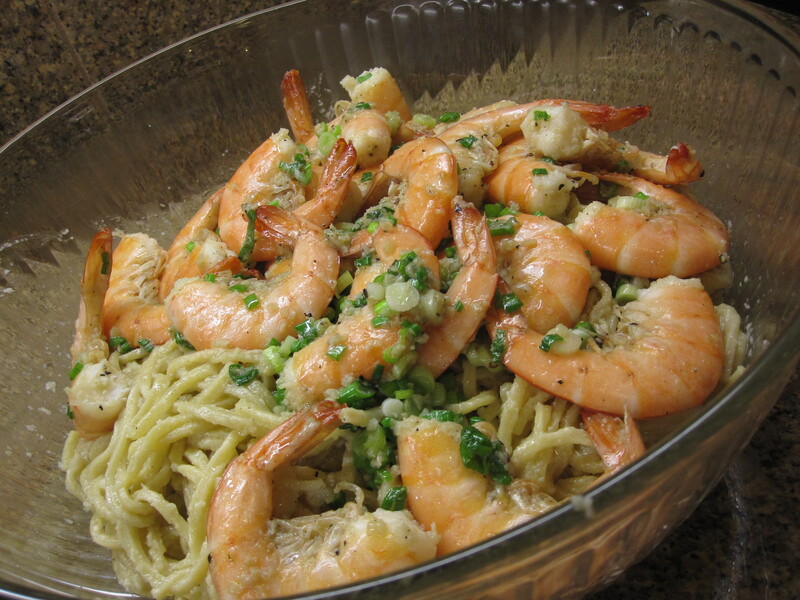 Serve it with roasted crabs, butter prawns, or even some grilled meats. Boil noodles in a deep pot until al dente. Drain and set aside. Add garlic, butter and cooking oil into a pan on medium heat until butter melts. Turn down heat to low and let the garlic flavor come out. Add in all seasoning (except Parmesan cheese) and noodles. Stir to combine. Dish out and add in grated Parmesan cheese. Toss well and serve immediately. Trim off excess fat and the top part of chicken hearts. Butterfly and make some slits on exterior side of the hearts. Remove stringy fiber of celery, and cut into slightly less than 1/4 inch slices. Poach celery in boiling water for a few seconds to remove the celery flavor, drain. Then poach chicken hearts for 30 seconds, adding 1 tbsp rice wine (extra) to the poaching water. Drain. Heat up 1 tbsp oil in a wok on high heat. Saute tofu strips until slightly brown. Move to the side of the wok but remain the heat. Add in 2 tbsp oil, saute ginger, red peppers and garlic until aromatic and spicy. Add in chicken hearts and seasoning. Stir everything to mix well, until the chicken hearts are just cooked. Add in celery, make a quick stir then dish out. Serve immediately. The wok must be very hot while sauteing this dish in order taste the “flavor/spirit of the wok 镬气” . If cooked right, the chicken heats taste tender almost like pork kidney. Don’t over cook or it will be tough. 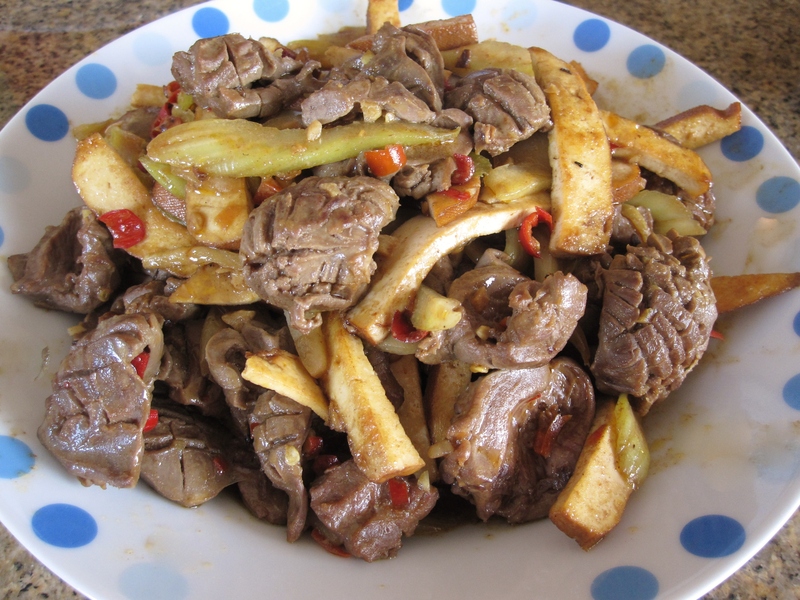 If you cook chicken hearts without poaching ahead, this dish will become watery as the liquid draws out from chicken hearts during cooking process. Just like sauteing other internal organs, rice wine is always a must and seasoning is always heavier than average to yield a very flavorful dish. Lightly knead the dough a few times to punch out big air pockets trapped inside. Divide into 16 portions. Roll each portion into a small 6 inch strip. Strip the dough over cut hot dogs2-3 times, leaving both hot dog ends open. Be sure both ends of the dough are tucked in or face down. Place the buns on greased/nonstick baking sheet, cover and rest for 45 minutes — 1 hour. Apply eggwash on top of the buns, bake at preheated 350°F oven for 15-17 minutes. Cool on the rack. Homemade sausage roll 烧卷 is a popular Chinese New Year(CNY) dish item in my hometown Muar, Malaysia. Every family has their own version, but It is pretty much seasoned ground pork, along with other stuff, wrapped in thin beancurd sheet 腐皮, steamed then fried. 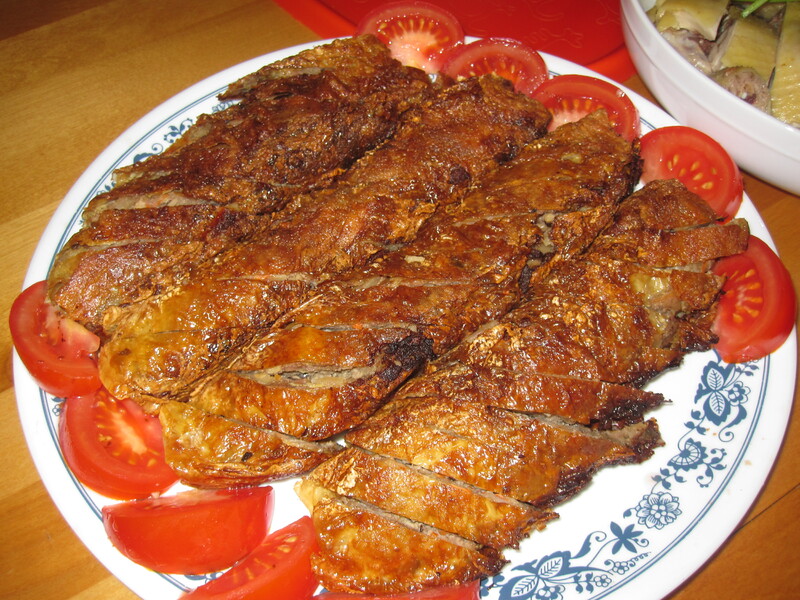 Growing up we always have this dish on the table during the CNY feast. 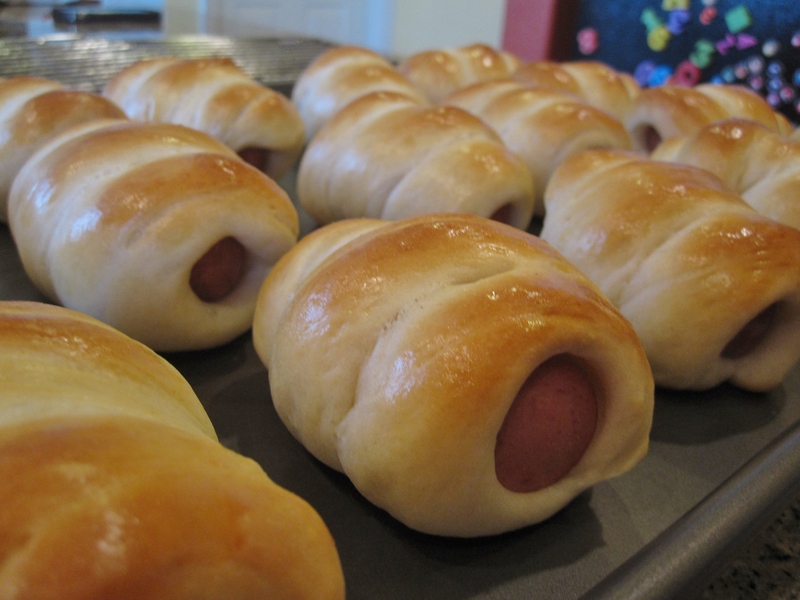 I remember those days we would made a lot of rolls and freze them in the fridge in preparation of the new year. My family use pork liver as part of the ingredients, but I can’t get good pork liver here, so I’m substituting with shredded taro. Add two types of ground pork, shrimps and ground pork seasoning in a large bowl/container/deep roasting pan and mix well. In a separate bowl combine all vegetables. Add veggie seasoning and mix well. Add seasoned vegetables to the ground pork mixture. Add eggs to mix well. Add flour to combine. Divide ground pork into 22 portions (I eye balled and use about 3/4-1 cup of meat per sheet). Place one portion on the beancurd sheet and roll it up like a egg roll. Apply cornstarch at the edge to seal. Repeat this step with the remaining ground pork and beancurd sheets. Place rolls, seal side down, on a tray and steam on high heat for 20 minutes until the meat is cooked. At this point, sausage rolls are ready to eat. Alternatively, cool the rolls and fry them. Slice and serve with plum sauce. 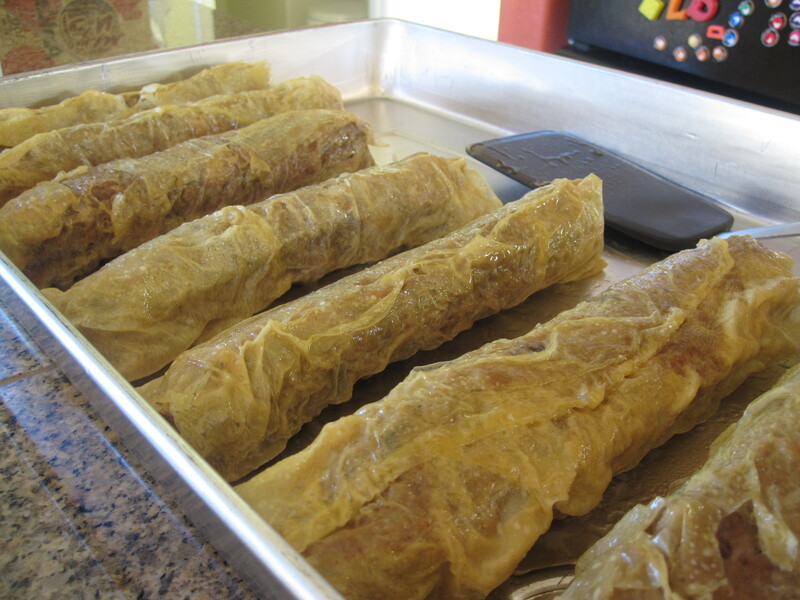 Steamed sausage rolls can be kept in freezer after cooling completely. Because of the huge amount of meat and vegetables, I season them separately before combining together, to ensure the seasoning is evenly mixed in. Eggs and flour are binding agent. I hand mixed all ingredients because of the large quantity. For a smaller batch, using a standing mixer to mix will be easier and quicker. Everyone has their favorite green pea cookies recipe. The ingredients are pretty much the same, except more of this item and less of the other(s). After trying out a few recipes from others, I came out with my own version– I added more ground green pea and cut down sugar. I can taste the green pea flavor more now with less sugar, and the cookies are not hard to bite too. This recipe is a keeper! 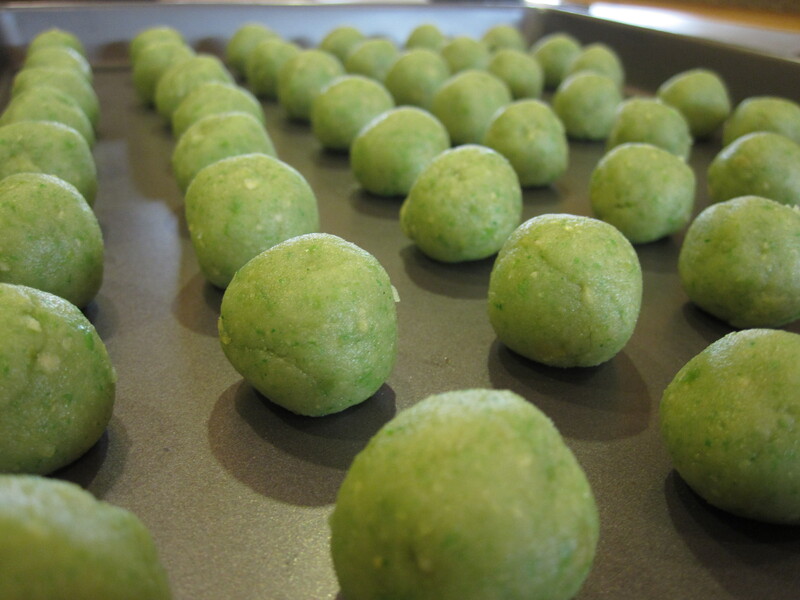 Reduced Sugar Green Pea Cookies-- before baking. Sift icing sugar into a bowl. Add all other dry ingredients and mix well. Add oil for form a dough. Adding little more oil if necessary. Rest dough for 30 minutes. Preheat oven at 325°F. Roll into size of large marble ball (~2cm diameter). Press gently to form a disc. Glaze with egg yolk mixture and bake for 15-18 minutes. Cool completely before storing in air tight container. Mochi cake, or 年糕 in Mandarin is traditionally sweet, and eaten during Chinese New Year. I change the flavor by adding tangy apple filling. Tired of the same old flavor 年糕? Try out this refreshing version. Peel, core and cut apples into 5cm thick wedges. Leave in a bowl and sprinkle lemon juice. Toss apples to coat well. Let it sit for 15 minutes. In a sauce pan, cook apples, brown sugar and cinnamon on medium heat until apples turn caramel color and tender, and the liquid dries out. Set aside to cool down. Filling can be prepared ahead of time and kept in the fridge until ready to use. In a pot add butter, sugar, condensed milk and milk. Turn heat to medium low and whisk until butter melted and sugar dissolves. The milk should be warm at this point. Remove from heat. Slowly pour in beaten eggs while whisking at the same time. Gradually pour in glutinous rice flour and whisking at the same time, until the batter is smooth. 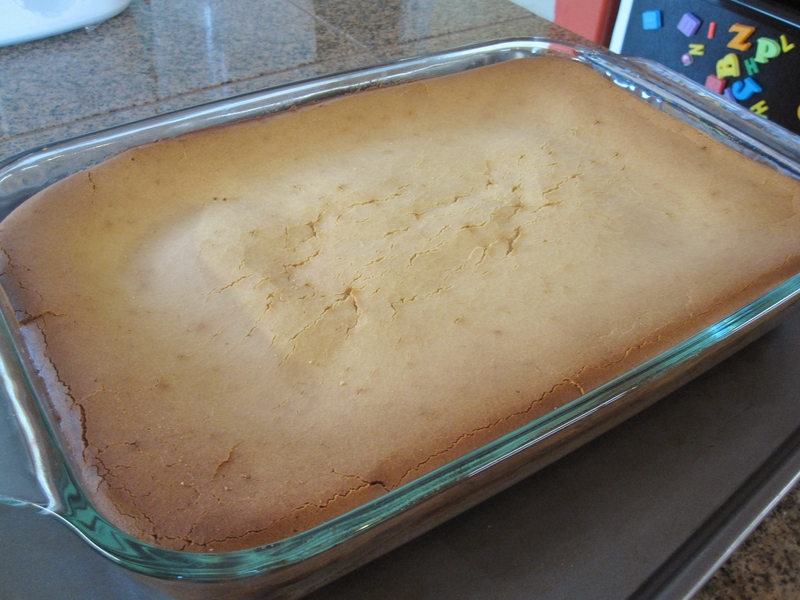 Pour half of batter into a 9″ x 13″ greased glass pan, bake at preheated 350°F oven for 15 minutes. Remove from oven but maintain oven temperature. 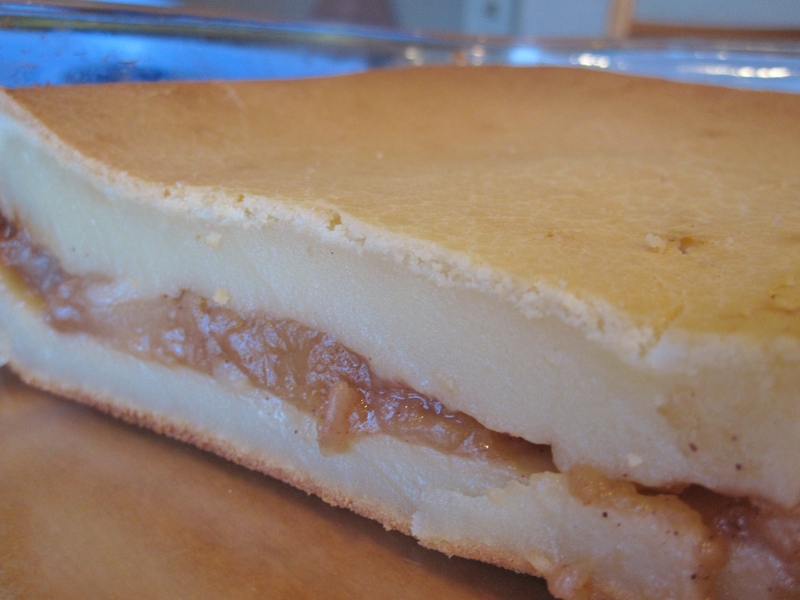 Spread apple filling to the top evenly. Pour in remaining half of the batter, cover all the apples. Return to the oven and continue baking for 1 hour, until the skewer inserted into the cake comes out clean. Turn around the cake half way through baking for even browning if necessary.